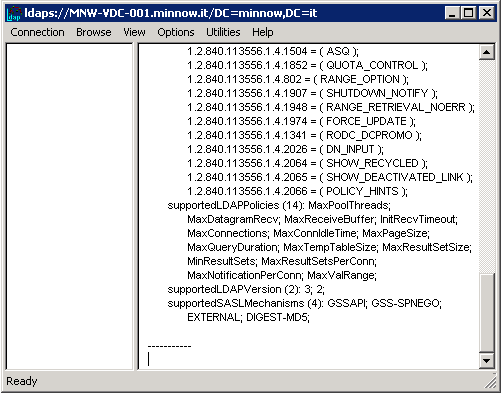 The Foldr administrator can enable delegated password control to allow selected Active Directory users or groups reset other users network passwords. A new / fixed password can be set by the delegated / trusted user at the time of the reset and they can optionally set the ‘user must change password at next logon’ flag. 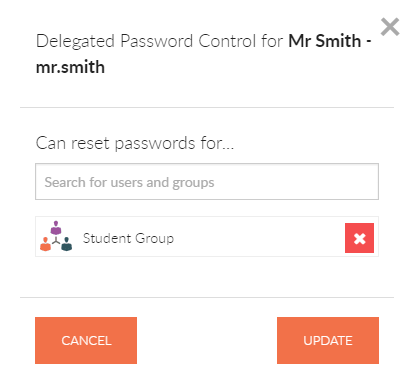 This feature can be used to provide a simple and secure way to allow helpdesk or trusted users such as educators to reset student passwords in an educational environment. 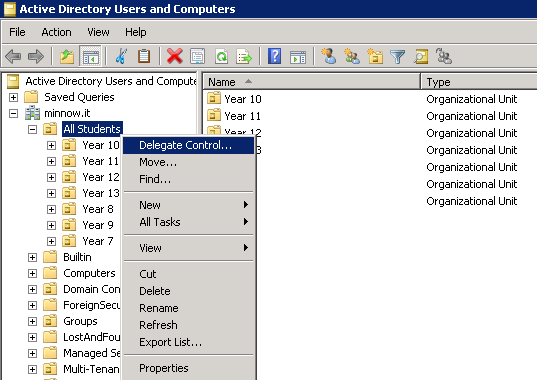 Delegated password reset in the web app and as with personal password change control requires LDAPS to be enabled on the Active Directory domain. The LDAP Server(s) within Foldr Settings >> General must be prefixed ldaps:// or you will see the warning below when you try to enable password change control. 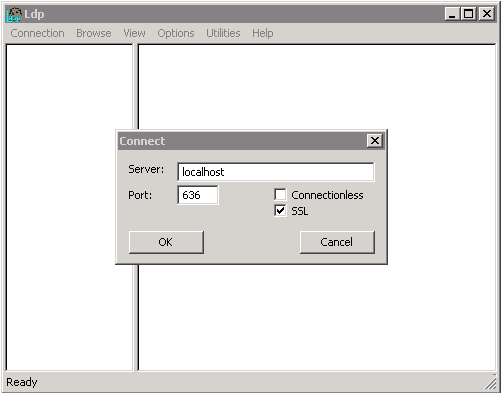 Once LDAPS has been enabled on the domain, you can validate the domain controller is accepting LDAP connections over SSL on port 636 using the LDP tool found on Windows Server. The Foldr appliance uses the main service account configured within Foldr Settings >> General to perform the password reset request on behalf of the delegated (trusted) user. 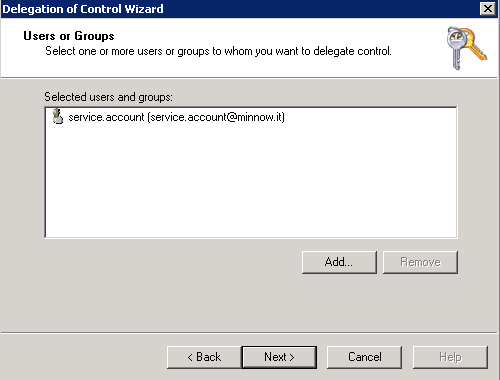 As such, the service account configured requires the appropriate permission to reset the target user’s password within Active Directory. 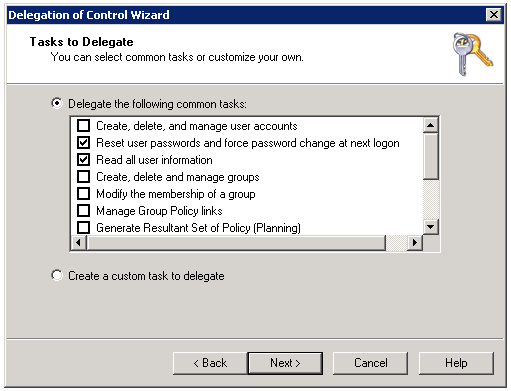 To grant the service account user password reset permissions on the domain controller you can use the Delegate Control wizard within Active Directory Users & Computers. 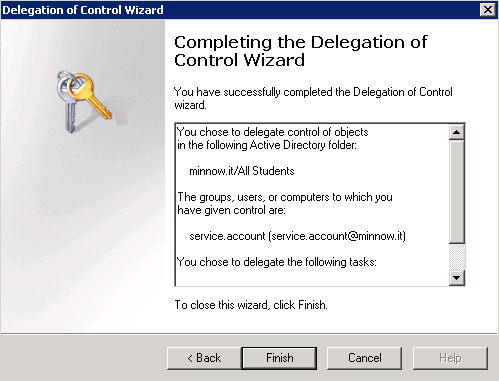 The delegated password reset feature is available within Security Settings >> Password Control. Selecting Password Control >> Reset a Password from within the Security Settings area when logged into the Foldr (user) web interface. 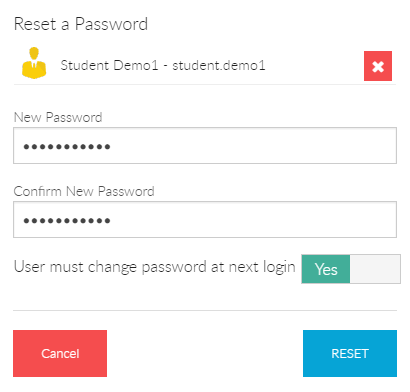 If the change password at next login flag is set, the student.demo1 account in the example above will be able to change this through Foldr web or mobile apps at next login.